Sea of Scars – Courtney! Life indeed had been unkind to Courtney Peterson in many forms. Mourning the loss of her parents after a fatal car accident, growing up in an unjust system, and being hated for simply existing. But when all appeared to be lost, favor finds her and gives her the break she sought after but not without some strings attached. Her dreams of starting her own family to make up for the one she lost and hungrily desires is almost impossible to achieve. 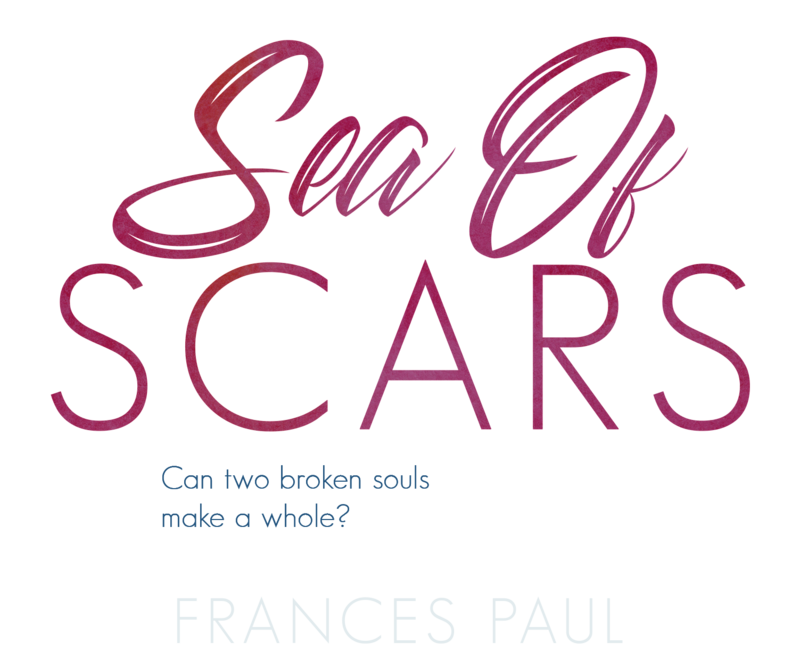 Then she meets a stranger, a troubled fellow with scars that reflect her own and a bond is molded between two lost souls. They nourished each other’s passion with the bond they shared. Until one day everything changes! When I created Courtney’s character I had a single vision. A woman of Grace and Substance! But to be labeled with such an honor comes great responsibility. It means to be a woman of great accomplishments, hold positive influence, merits people admire such as morality, generosity, and courage. One is not born with such strong qualities. It is through the experiences of life that such intelligence is earned. Through a past that molds character, determines one’s future and perception of the world. As Courtney’s character developed, she became more and more real, relatable to every woman I have met through my own life’s journey. The pain and the loss she suffered, the blockages in life that could easily have crippled her but with a little hope and endurance, she persevered. Her insecurities did play a vital role in her life’s voyage. We live in a world that is so fast-paced and most of the time we are so caught up in this strong desire to have what we want and when we want it. We often times feel entitled that the world owes us an apology, some sort of reparation for our ill-fated fortunes. Instead, why don’t we learn to accept our destinies, build and play the hand we are dealt. This is the persona Courtney embodied. A Moretti Crime Family two part series has been knocked down to 99c each from November 6th until November 13th. Take advantage of this offer before it ends. a classic story of a good girl gone bad. A conservative Civil Engineering student from Central America travels abroad to complete her studies, she encounters a new world, the underworld, when she falls madly in love with a prominent young man from a wealthy crime family. Kennedy soon discovers how impenetrable Tristan is. His standoffish nature makes it hard to love such a man. But this does not stop the conventional beauty from fighting for what she desires, albeit discovering underneath his charm and wealth lays a very dark and dangerous world. Tristan finally inherited what he alleged was rightfully his. It came at a very high cost. The loss of a loved one changed him drastically. He believed the family had seen its last days of violence after he had his revenge against an enemy who lived to destroy the Morettis, but what he did not know was his darker days were before him. Kennedy secured her future as Tristan’s wife amidst all her insecurities and reservations. She convinced herself it was for the greater good. When she least expected, the return of her nemesis shook the foundation she laid. Will Kennedy and Tristan’s love be strong enough to survive the hurdles? Find out in this astounding tale of despair, love and hope. Interview with Book Blogger K. Schultz! 1. I have read somewhere that writing the first book is the hardest, but after it, is becomes easier. How difficult was it for you to create and finish your first book? When I was a young girl, I had an active mind. I could make up stories with ease. I wrote a few very short stories, ‘a page’ and my only audience was my older cousin. With the interference of traditional goals that passion was long forgotten, until just recently in 2016, I decided to revisit my dream. It was as if I never left. The appetite was still there, but the vision, not so much. It was challenging putting my scrambled thoughts on paper. I scratched out lots of sentences, chapters and even an entire book. I was terrified to put myself out there like that. What will people say, what will they think? What if they hate it and I am ridiculed. I can’t survive adverse criticisms. But eventually, I mustered the courage and adopted the phrase, come what may. I implemented a plan, put all my thoughts down, no matter how ridiculous or trivial it sounded. When it was completed I went back to the top and added more ridiculous contents. I called that stage the skeleton phase. I repeated the process at least more five times before I had the confidence to begin writing the book. It takes a lot of discipline and patience to complete a novel and I applaud all authors out there, whether big or small, because it’s a pretty tough system. Once the first book (Life Intertwined) was out, I was eager to jump into the second, a sequel to the first (Unraveled). It does get easier as you go but each story is unique and comes with its distinctive challenges. 2. Do you like doing anything, like listening music, having a cup of coffee, before writing, to get into the right mood? I’m more creative with a clear mind accompanied by a serene atmosphere. Once I have that harmony, I find myself in the perfect mood. I do occasionally enjoy a glass of wine after successfully finishing a chapter. 3. When is the best time for you to write and why then? At dawn when it is quiet. I found that I am more creative and self-motivated, also because, my little munchkins are down. 4. Do you have any strategy against writer’s block? Yes, walk away. Start again in a few days with a clear mind. For me, if that doesn’t work, my trick is to open a new page, take one of the chapters and write, it doesn’t need to make sense in that moment. The more I write, the better shot of digging myself out from the hole. 5. Who is your favourite and less favourite book character ever? One of my favorite books a thousand Splendid Suns, quite a passionate read. My least favorite character was called Jalil. A man with three wives and about ten children. His daughter Mariam, whom I adored was such an amazing character. Jalil never fully claimed her as his own and treated her differently from how he treated his other kids. He refused to acknowledge her beauty or the wonderful woman she had grown into. He kept her away from his family and only visited once a week when Mariam was a child, in an isolated place he sent Mariam’s mother to live, obviously to hide her from the world. His character was displeasing, the archaic mindset of a man, though he expressed his regrets at the end, I could not bring myself to pardon him. My favorite character and it’s from my childhood is Huckleberry Finn. A sympathetic and courageous character. His past or where he came from did not deter him. He was a product of his environment, who lets go of all condemnations and judgments to save a friend, do what’s right. The idea of finding the hero in myself lures me to Huck Finn. It’s that characteristic of his character that I desire to discover in myself. 6. When do you plan to release new books? I am currently working on my forth novel. It involves a very sensitive matter and covers modern relatable issues. I’m so excited about the project but I can’t give anything away now. I am hoping to release it in November 2018. 7. Can you tell a secret about one of your new books? It’s an emotional read, a little chicken soup for the soul. It’ll most definitely keep readers on their toes from prologue to epilogue. 8. Which character from Clandestine Affaire is your favourite and why? Each character had a unique quality I loved. We are all nothing but human. We make mistakes and sometimes we learn from them to improve ourselves and sometimes they come back like a bad dream and hurt us when we least expect it to. This story proved that. Certain individuals are placed in our lives for a reason, some temporary, others permanent. What part they play and how long the individual remains in your life is completely up to you. Willow Walsh had her own demons. She battled with her insecurities and desperate desire to be loved. When a woman finds herself in that state, she becomes vulnerable and falls easily for the next predator on the prowl. Unfortunately, she did meet such a man. Handsome, wealthy, mysterious and with a daring silver tongue every girl dreams of. She recognized the warning signs but chose to overlook them, because she desperately wanted to be loved. Harry Racer wrestled his own demons and flaws and beneath his handsome features and poised façade laid a very lonesome man. A man in need of genuine pure human connection. A connection his wife Ella Racer failed to provide. Bruno Calderon, my clandestinely favored personality, is the epitome of the perfect man. He keeps you flushed from when his character is introduced till the very end. 9. Seeing them with your eye, as the author, which novel of yours is your personal favourite, and why? Though I love all three novels, I believe I am yet to write ‘the novel’ I am definitely not done yet. I am still growing and the best is certainly yet to come. I will say this though, each book has a piece of me in it. 10. If you could live in any fictional universe, where would you live and what would be your profession? I would be living in an isolated cabin somewhere that looks and feels like Italy with never-ending views and surrounded by numerous dire wolves and a laptop. And of course, would be a writer. I do have a wild soul. Follow the links below to pre-order now! An appetite for ambition yanks a small town student, Willow Walsh to the big beautiful Windy City, Chicago. A mission to make a difference in the world. Desperate to avoid failure after a few bumps on the road, she pursues her dream career with the prestigious Architectural Design Magazine, Racer Journal. Owned by Ella Racer, a queen in her own right. The only woman she admired and held on a pedestal, then, she met Harry, the mysterious perfect stranger. As cliché as this may sound, he was the most drop-dead gorgeous man she has ever encountered. He unraveled a world she never knew existed. A complex world of passion, vows and obsession. He was hers and she was his. A bond so powerful nothing could break her bliss but boy was she mistaken. One minute she had it all, the next, she was left stranded in a shady game she didn’t know she played. Her perfect gentleman — wasn’t so perfect after all. He held a profound secret. A secret that could destroy not just her future, but an entire real estate empire he is set to inherit. Yet, such a treacherous revelation couldn’t sway Willow away from Harry, she was in deep, so deep it suffocated her, destroyed her friendships, credibility, honor and dignity. Then, she met the mining magnate Bruno Calderon, a powerful and charismatic man, who gave her an offer she couldn’t refuse, a way out, a chance to salvage her damaged reputation and start anew, a thorn in Harry’s flesh. Will her past restrict her from her much deserved happy ending?